The Tesla autonomy show had a lot of nuggets about what the typical self driving car startup does. There's a chip which is a scaled up version of a GPU, using stock IP that doesn't use very current feature sizes, but marketed like crazy as a revolution. Something never mentioned before, but which slowly oozed out over the last 5 years is how training the networks still entails manually annotating thousands of images. They have some interpolation, some LIDAR to generate annotations, but most of it is mass Bangalore labor. A more telling feature was the use of neural networks in place of all conditional statements. Determining if a car was changing lanes was an exercise in thousands of sets of car coordinates manually classified as lane changes. They couldn't just classify it based on x > threshold. Enormous effort was spent doing it with a neural network. How much more effort would have been required to make a pose classifier based on neural networks instead of if statements? There's still no magic in using a neural network to detect a path. It has to be trained with thousands of images of every section of path in every lighting condition. They all have to be manually annotated or interpolated with path coordinates. All the network does is compress the training set & replay it. The network has to be more like millions of neurons instead of hundreds. This is a fun conversion of an 11 inch wingspan toy bird ornithopter to hobby grade RC. I bought the Electric Flight Bird on sale and chose the 1-channel version, versus the 2-channel one at a higher cost, thinking of a conversion to 3-channel control. After a few months of experimenting, I landed at the V-tail version-five presented. Not complete, there is still detail to add to the tail and reshaping of the battery mount. - replacing the stock fuselage and tail feathers with balsa, carbon fiber and foam. - installing a Spektrum circuit board 'brick'. - adding landing gear bent from 0.020" music wire and held in heat shrink tubing pockets. - a fuselage 'keel' that permits fore and aft movement of the 1-cell flight battery for CG adjustment. - flying with a 130 mah Lipo. - adding a rubber nose cone (from Horizon Hobby micro airplanes) for a beak/bumper. - replacing the stock crank arms, that flap the wings, with shorter versions to reduce binding. Electric Flight Bird. Shipped well protected and arrived in good shape. Simple 1-channel ON/OFF control. My Bird version five next to box for size comparison. Wingspan is about 11 inches. Bird version five. Requires about 2 degrees of right rudder to counter torque of motor rotation. Bird v5 showing Spektrum brick control. Bird version five V-tail underneath smaller version 4 V-tail (minus control surfaces). V5 is 50% wider and offers stronger control response. Weight of all stock parts is 15 grams. Weight of Bird version four is 17 grams with 130mah flight battery. The two wing crank arms were replaced with black carbon fiber. Now with holes spaced closer together the wings still open enough. I have a Foxx s911 and when I go straight to full throttle it twitches forwards and the light to the on and off switch blinks but if I slowely speed up it's fine but then I can go in reverse starting with the throttle all the way up. I don't know if it if wiring or what so if anyone has any suggestions or questions pls ask. 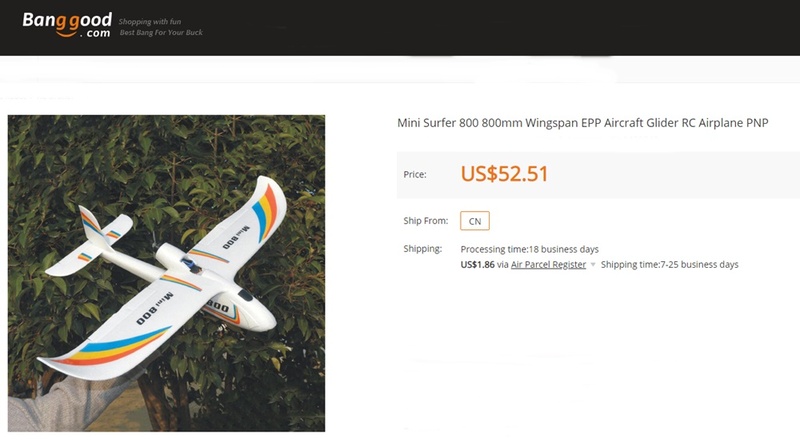 Just get the Jumper T16 in hand from https://www.rc-wing.com/jumper-t16-o...ansmitter.html. NEW Hawkeye Firefly Micro Cam 2 review. This Hawkeye Firefly Micro Cam 2 2.5K 1080P/60FPS 160 Degree Water-Repellent Recording FPV Action Camera review includes unboxing, inspection, setup and 3 flight tests for video samples with this hard mounted on 3 different quadcopter drones. I put another Lead Ball in the nose ..
CG is now some 10mm back measured from the centre of the spar ..
My first launch was superbly timed as the wind lifted the left wing and did it's best to flip the Mini Surfer 800 onto it's back . It was so quick there was no recovery . Luckily the Mini Surfer 800 is a tough bird , and tumbled across the ground sustaining no damage ! For now I am happy to leave the CG where it is ..
C) Push come to ..... ( its a pusher ) I can always throw another lead ball at it ! I have an appointment tomorrow , so hopefully by the weekend the Mini Surfer 800 will have flown under power .. I bought a couple of these for $27 shipped on ebay, turns out they were different than the three I already have working (DPS-800GB). Different connector, so I needed to figure out how to turn them on. As can be seen in the pictures, the 5th pad on top and bottom need to be shorted to ground and the supply turn on. The big pad closest to the edge is ground on top and bottom, of course next to it is 12V. We’re supposed to have the field until the end of August but I believe the end will come much sooner. Not wishing to take a chance, the club has decided to remove all of our removable assets. We suspect the owners will be very unhappy and terminate our lease immediately. They understand we are going to take our tractors, large and small, but they may not understand we’re taking everything that is not rooted in the ground. I’ve been a member of the San Antonio Propbusters since January 1984. It was only the third RC club of which I was a member. The others were in Houston, Jetero R/C (still going) and Sheldon R/C (long gone). I’ll stay a member as long as the club goes on, field or no field. I have to have a place to fly, so I’ve joined the Boerne Area Model Society, BAMS. I’ve flown there several times and I have some good friends in that club. It’s a little further to drive but not terrible. The reason for the last trip to Somerset was to get a flight in with my Sport Cub as close to the anniversary date of when I first started flying it four years ago. Earlier in this blog I discussed how I got back to serious flying. The Sport Cub was my means. It certainly shows its wear and the numerous repairs. It’s been flown at BAMS several times including once when most were not flying because of the winds, a testament to my efforts to get my flying skills back online. Just have to wonder why the G spot is such a secret ? Anyways , after watching the videos the Mini Surfers flown by the reviewers had a tendency to drop it's nose on launch .. In the first video I watched it dropped the nose like a lead sled and thumped the ground really well .. I broke the model , actually the motor pod fell off ( See pictures ) .. Interesting ! , seems that the hot glue has no real strength bond wise to this foam ( See Pictures ) ..
Pod is re-glued , this time with your run of the mill Cyno ( Not foam safe ) .. This foam seems to be a little glue resistant , and ordinary cyno seems to do the best as far as gluing things together goes . 2) You would think it was horrendous with such a rearward CG , but that was not the case at all . 6) Just as I was going to try a 25% power launch , well the motor pod fell off . End of CG Game ! Yes , I would say the CG is too far back , but how far too far back ? I might just slap ( glue ) another lead ball into the nose and get the G spot closer to the spar . So thats where I am for now ..
CG will be moved forward , motor pod has been re-glued ..
Motor pod fell off during the CG Game ..
You can see the glue line .. But the glue ( hot glue ) simply does not bond well to this foam ..
CG 15mm behind the spar to begin with . I will move it forward for the next round . 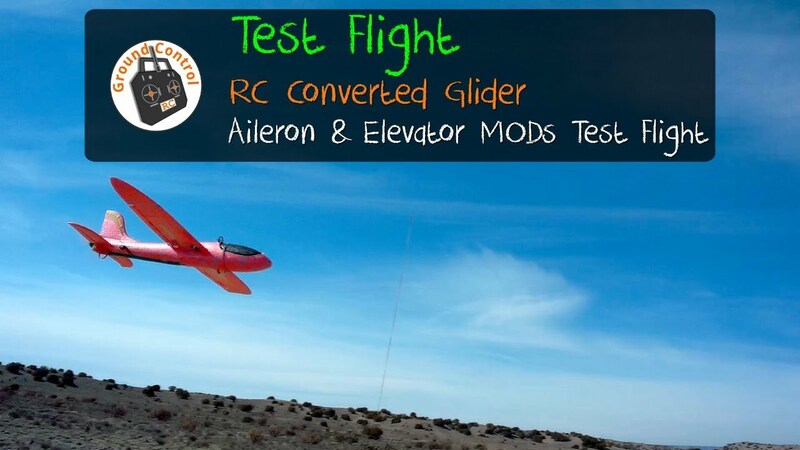 I completed the MODs I spoke about in our Project Conclusion Video with the Aileron & Elevator. I have extended the Aileron by 30% to get a better Roll Rate and put some angle into the Elevator Control Rod to get a tiny bit more granularity. See you in the Air! Build, Fly, Crash, Repair, Rinse & Repeat! The FlyFly Duke is coming back to life! The instruction manual for these models is, at best, a guideline. Lots of out-of-the-box thinking is a must when assembling one. So, I took it upon myself to wire together the tail before attaching the forward halves of the fuselage. Since taking this picture, I've completed the entire fuselage save for a few minor details. I changed out the ez-connector on the rudder left over from the wrecked Duke to a new/old Great Planes part. Much better setup which does a superb job of holding the pushrod in place. It was slipping through the original no matter how tight I cinched down the setscrew. The really alarming thing was the poor quality adhesive used by the factory. I'm surprised the thing didn't self-destruct in midair! This is no longer a problem. Fresh thirty-minute epoxy is the main adhesive of choice and it's all going together nicely. Lots more to tell soon! I'm certainly glad that I elected to install the servos and lights before gluing down the tail surfaces! I can't help but wonder how many of these kits were trashed because of it. NEW Hawkeye Firefly Micro Cam 2 review. This 2.5k HD video was made with the new Hawkeye Firefly Micro Cam 2 fpv action camera mounted on a SJRC F11 Quadcopter drone. A full review video of this great new box form factor camera to follow soon on this channel. Please select 2.5k (1440p) HD resolution in your youtube viewing settings to view this at this resolution. The Spektrum protocol puts out a packet of data every 11ms. The packet holds 7 channels. In 22ms mode, that means there are 7 x 2 slots available, 14 channels total. The first 6 of each packet are channels 1-12, and the last slot is used for the X-Plus channels (which makes it very obvious why they are up to 88ms latency). In 11ms mode, there are 4 channels that are sent every time, and the remaining 6 channels come in 3's. It sends out 4 channels + 3 channels, then the next packet has the same 4 channels + 3 different channels. 4 + 3 + 3 = 10 channels max in 11ms mode. The DX18 generates its data as 12 channels + 8 channels, where channels 11 & 12 are the same as X+1/2. The DX20 generates its data as 12 + 8 also, but channels 11 & 12 are configured independently. This is what the "DX18 Compatibility Mode" option is for. It lets you pick 10+8 or 12+8 mode. Because the iX12 can import files from either one, or from a lower end DX, it can generate either mode as well. It's important to understand what you are getting the configuration from to know how it will behave. If you import from a DX18 or lower, it will most likely be in DX18 Compatibility Mode, generating channels 1-10 normally and using X-Plus data for 11 & 12. If you import from a DX20, if it's in 20-channel mode then channels 1-12 will be as you expected. It is done this way because the purpose of importing a file from another type of radio is to make it so that the new radio controls the old model exactly the same way. You want your new radio to fly the plane the same way as the old radio, not change channel assignments on you. Opalix didn't understand that part and assumed that the DX8 file he imported would automatically go into the 20-channel mode. It doesn't do that because a DX8 works in DX18-compatibility mode for channel generation (but you can't get there on the menu). He's got it all straight now (we've been working with him for several weeks through Product Support and PMs). In this video I used different filters for the sound in the edit but I did not touch the image quality which looks quite good to me. You'll find the changed settings, a link to the firmware and other stuff in the video description if you're interested. I wish we could have a better FPV image quality with these cameras though. Flying safely near trees with lots of leafless branches is still a matter of luck.